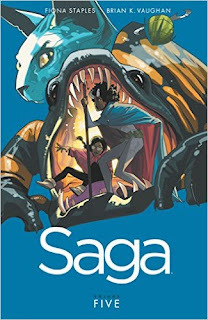 Saga is one of the very few books in which if I see a new volume on the shelf all I need to know is that I have just enough money in the bank to get it. That may sound financially irresponsible but that's how good this series, from writer, Brian K. Vaughan, and artist, Fiona Staples, is. They are a powerhouse creative team that deliver their A game every time. This book is bursting at the seams with brilliance, beauty, magnificence, intellect, heart, character, and love. You can tell this truly is a labour of love for these two. For those of you that are not caught up I'll give you a quick recap. Two star-crossed lovers from warring factions have a baby. Their governments find out and send people to kill them and their child. And they have been on the run ever since. That's about all you need to know to jump into this book. 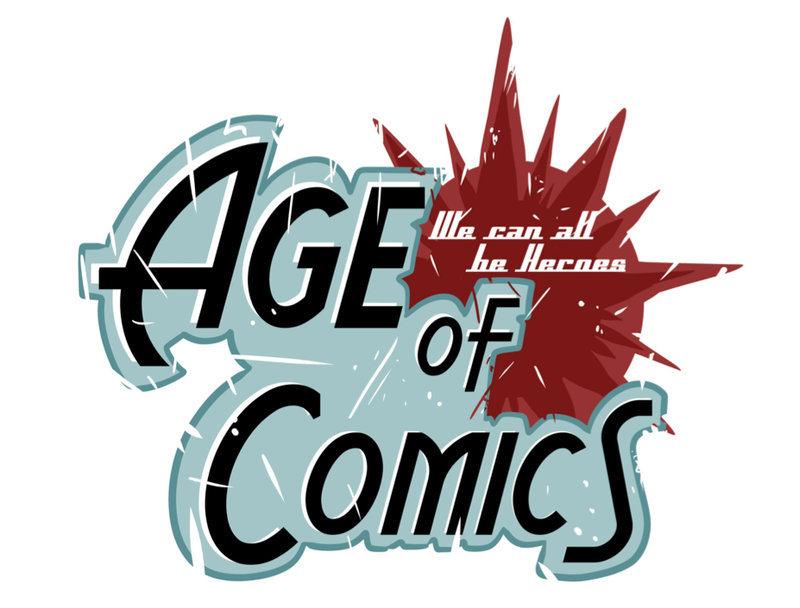 In this volume it picks up an unspecific time after the last volume or issue 24 if that's how you were reading it before you realized it's much better to read in trade. At first it opens with a beautiful and brilliant narrative about war. 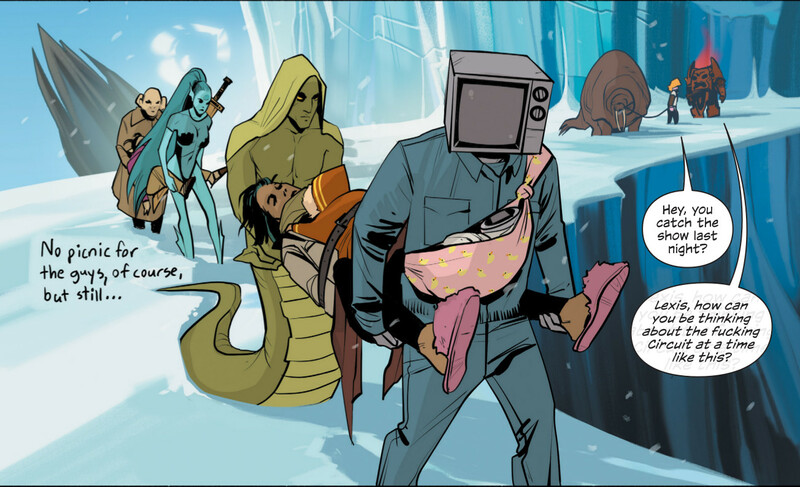 Not long after, it is revealed that Alana and her mother-in-law are being help prisoner by a robot who has kidnapped Prince Robot IV's son and is also holding Marko and Alana's baby captive as well. 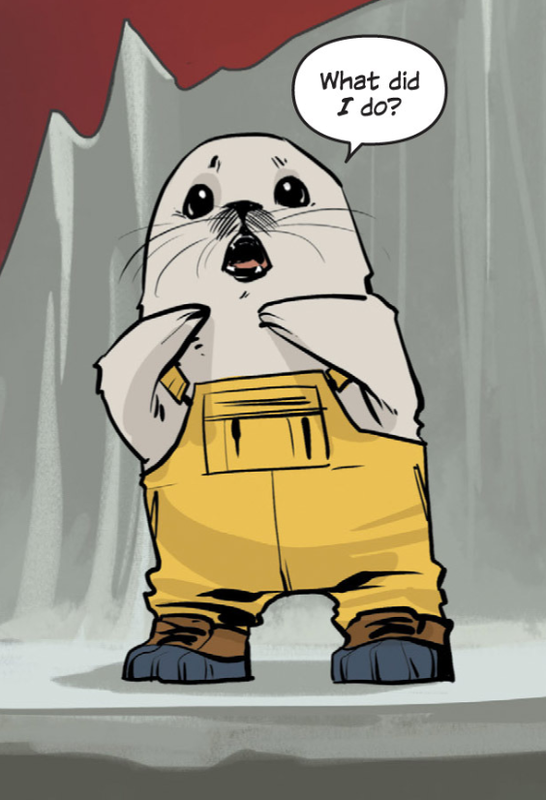 As for Marko he's stuck on a ship with Prince Robot IV, an adorable humanoid seal pup, and a shrubbery looking lady who betrayed his family, all to help the Prince get his son back. The captor of babies allies himself with some rebels. Lets just say it doesn't turn out well for anybody. On Marko's part he ends up in a drug induced vision quest. That puts IV in a bind that leads to them being in an even tighter spot than they already were. This may not sound that exciting or intense but I am keeping it vague since I refuse to spoil any of the book because it's just that good. Trust me, any time you mix family, war, and betrayal there's always drama and excitement. To say the least there's not a dull moment. With Brian K. Vaughan's intriguing dialogue even when there's a no action it's always moving the story forward without losing momentum. Almost every single word sounds like its coming from a real person. The story is so deep and intricate at times yet plain and simple at others in a way that just works, it is masterfully woven. You find the characters going down a path that they foreshadowed earlier to end in a way you would not have thought imaginable. In another part of the story you have no idea the path it is going for it to end up exactly where you were hoping it would. Every character is so lively and real even if they are some unimaginable freakish looking alien. Without Fiona Staples this book would not be what it is. All those freakish looking aliens, whether they be mer-people, spider-folk, an adorable seal with legs in yellow fisherman overalls, shrub lady, giant dragon salamander or the environments. A cold, desolate, lifeless planet, and lush, colorful worlds are made real through her expert pencils, inks, and colors. She truly brings every character, world, environment, planet, ship, place, object, creature, person, concept, and idea to life with every subtle expression, gust of wind, ignition of an explosion, and burst of energy. Every single glance, smirk, shrug, landscape, and view, is worth a thousand words and then some. I can't speak any more highly of this artist and her art. I can't speak more highly of this book either but I'll do my best. If there was any book I wish I came up with it would be this one. I absolutely adore space adventures. I'm a real sucker for a real, true, love story. The kind of love you literally fight tooth and nail for. The kind that makes you a better person. What it's like to have a kid, and during wartime no less. How destructive war can be, to people, worlds, planets, lives, everything, to every one, every where. I am in love with these characters, their world, and this book. I don't say that about too many books. This isn't a book I'm trying to promote, sell more copies of, or even to get you to spend money with one of our sponsors. It's not a book you should read, have to read, or even need to read. This is a series I am in love with and I know you would fall in love with it too. I would be willing to share it with anyone so feel free to ask if you know me. Of course this graphic novel is a STRONG BUY for me as it should be for anyone else. If you read this series you should also share it. If you don't you should borrow it from someone that does. I assure you you'll either want to buy your own or keep theirs. It's a win-win. TNTM Comicast #211 Holy Smokes, Batman! !